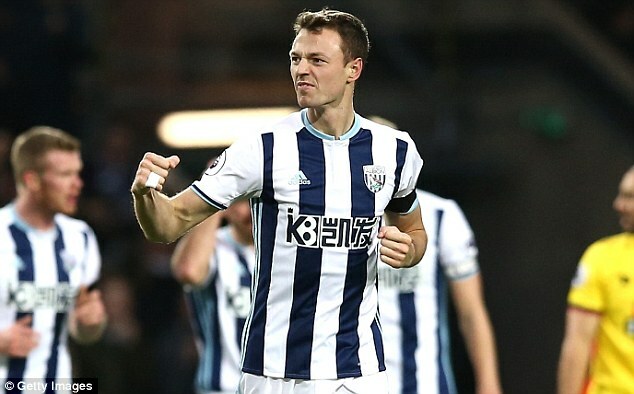 West Bromwich Albion could continue their association with defender Jonny Evans beyond the summer after he cited his ambition to stay put at the Hawthorns. The Northern Irishman joined the Baggies from Manchester United in the summer of 2015 and has since been one of the most consistent performers under Tony Pulis. Evans attracted transfer interest from Arsenal during the previous summer transfer window, but West Brom managed to fend off the Gunners interest after placing a hefty £25m price tag on his signature. Baggies boss Pulis recently admitted that the club could be in a fight to keep hold of their leading performer, but the player himself has dismissed the possibility of a big club move. “It gives you confidence when the manager appreciates you. It shows his belief that you’ve done a good job and hope I can continue doing that for West Brom.” he told Sky Sports.